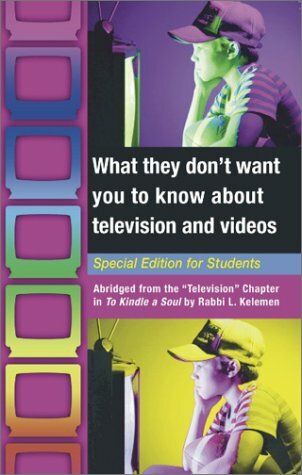 Expert Review of What They Don't Want You to Know About Television and Videos by Lawrence Kelemen, one of our picks of the top Jewish books for kids! The most comprehensive survey available in popular literature of television's negative effects on viewers. Includes extensive discussions of problems caused by both medium (depressed achievement and intelligence, difficulties with social interaction, obesity, and ADD/ADHD) and content (alcohol abuse, violence, and consumerism/commercialism). Contains a section on risks associated with viewing children's programming.